For more information, please click on the above link to Kinesio website. Muscles constantly extend and contract within a normal range, however, when muscles over-extend or over contract, such as when lifting an excessive amount of weight, muscles can not recover and become inflamed. When a muscle is inflamed, swollen or stiff due to fatigue, the space between the skin and muscle is compressed, resulting in constriction to the flow of lymphatic fluid. This compression also applies pressure to the pain receptors beneath the skin, which in turn communicates "discomfort signals" to the brain and emdash, thus the person experiences pain. This type of pain is known as myalgia, or muscular pain. Tape can be applied as a single strip [I], or in the shapes of an "X" or "Y", depending on the shape and size of the targeted muscle(s). 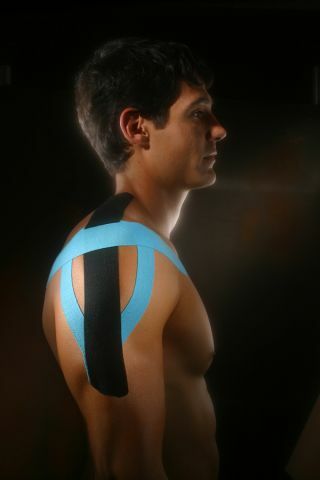 The basic principle of therapeutic taping for weakened muscle is to wrap the tape around the affected muscle. Start from where the muscle begins [ORIGIN] and continue along the muscle, and finish where the muscle ends [INSERTION]. 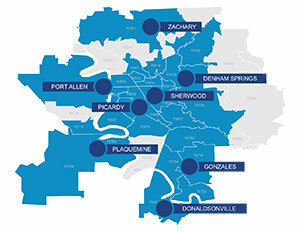 This particular application process is typically used for supportive purposes. As the muscle fibers contract, Kinesio® Tex Tape supports the contraction by pulling and stimulating the skin and muscle back towards the point of origin. For preventing cramping or over-contraction (overuse of muscles), tape should be applied from [INSERTION] to [ORIGIN]. If you are treating yourself without assistance, it is important to remember the basic principle of stretching the skin before application, no matter where the pain is located. For example, if the body-side of the forearm is the source of the pain, you should bend your hand back before applying the tape. Similarly, if the source of pain is the outside of the forearm, then the wrist should be bent forward. This principle must be strictly observed. For treatment of muscle pain, Kinesio® Taping is ineffective unless the skin is stretched. This particular application process is typically used for acute conditions such as strain or sprain, muscle spasm, and edema from injury or surgical procedures. As the muscle fibers contract, the Kinesio® Tex Tape will relax or slack said muscle.